18thc Communion Wafer Mould of the Virgin Mary. French. C1780-C1800. 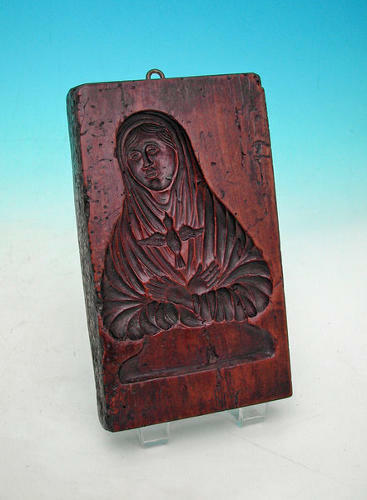 A superb carved Mould of the Virgin Mary, probably used to make the large Communion Wafer that would be distributed piece by piece at the end of a service...she is depicted with her arms crossed and with a dove arising....it is probably from a Nunnery or Convent.